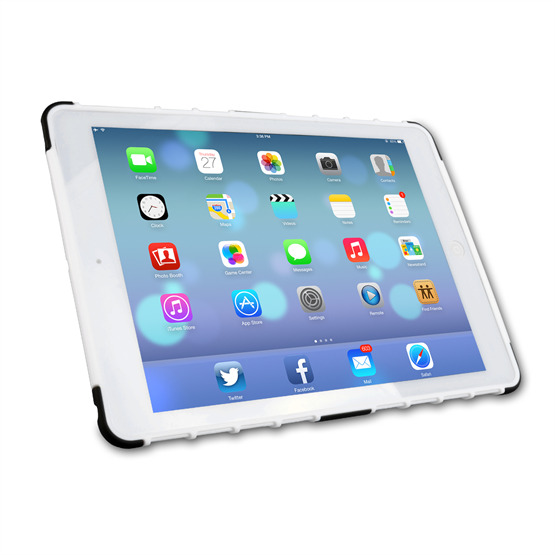 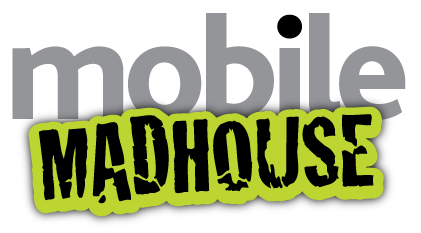 Make sure your iPad Air is in safe hands with the Caseflex iPad Tough Stand Cover – White, available to buy online right now from Mobile Madhouse with free standard UK delivery. 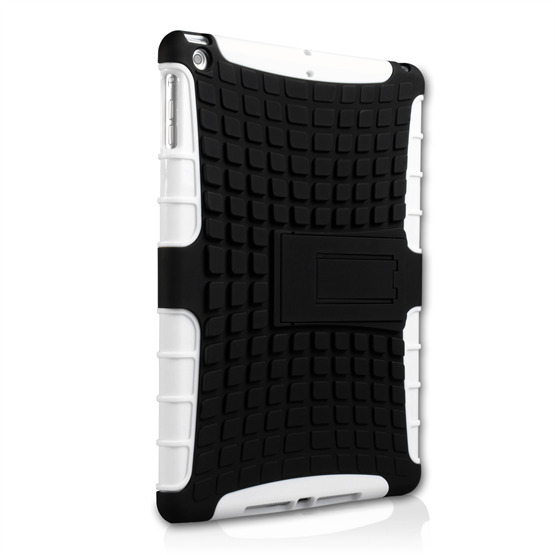 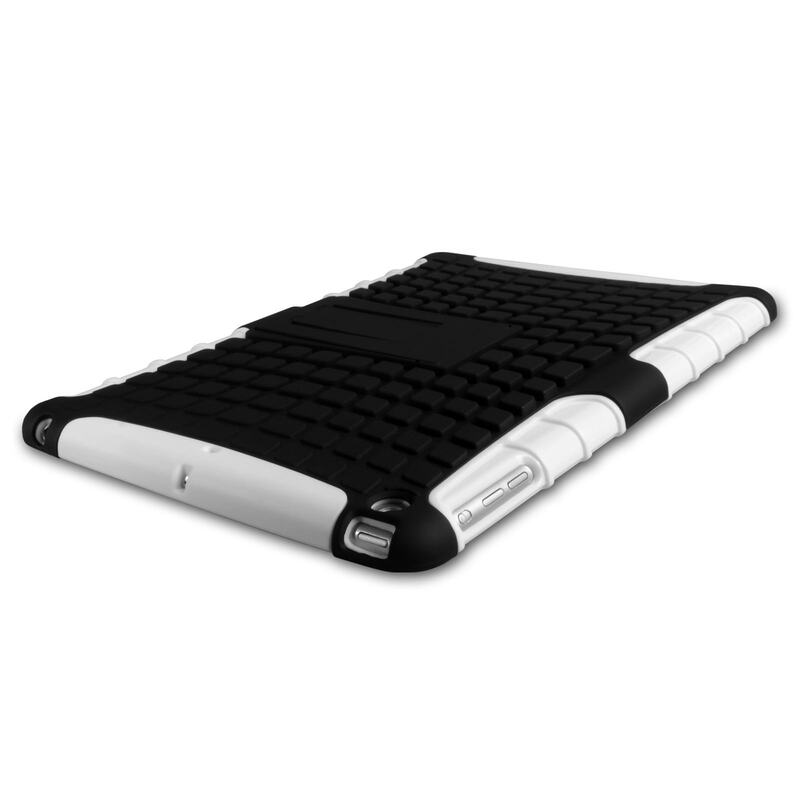 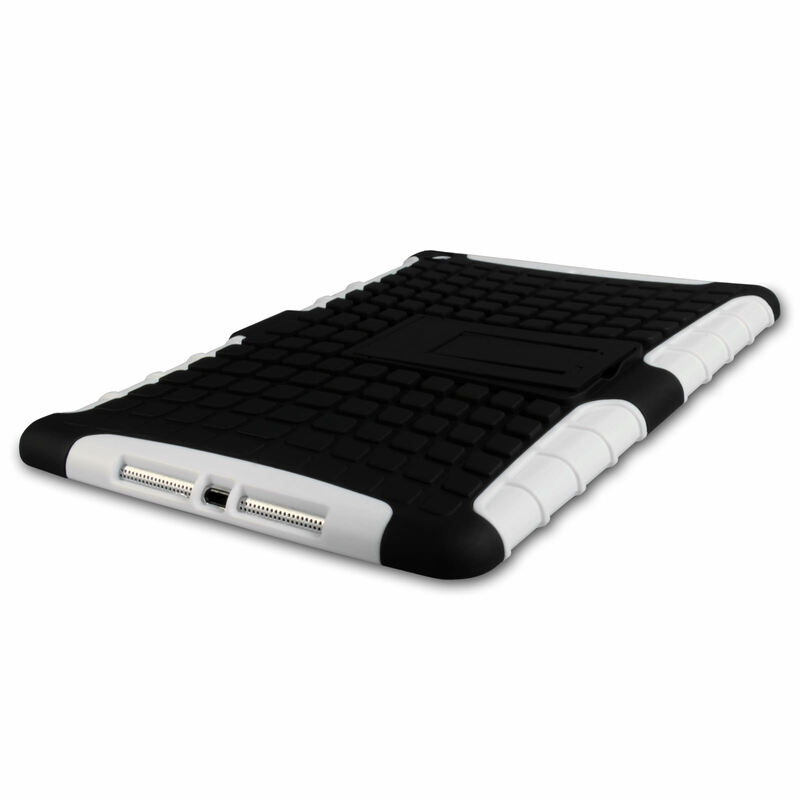 Dual layer technology is the key to the success of this fantastic protective iPad Air cover. 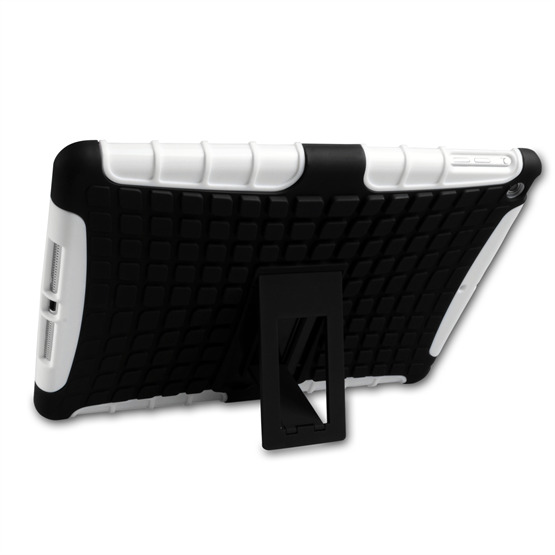 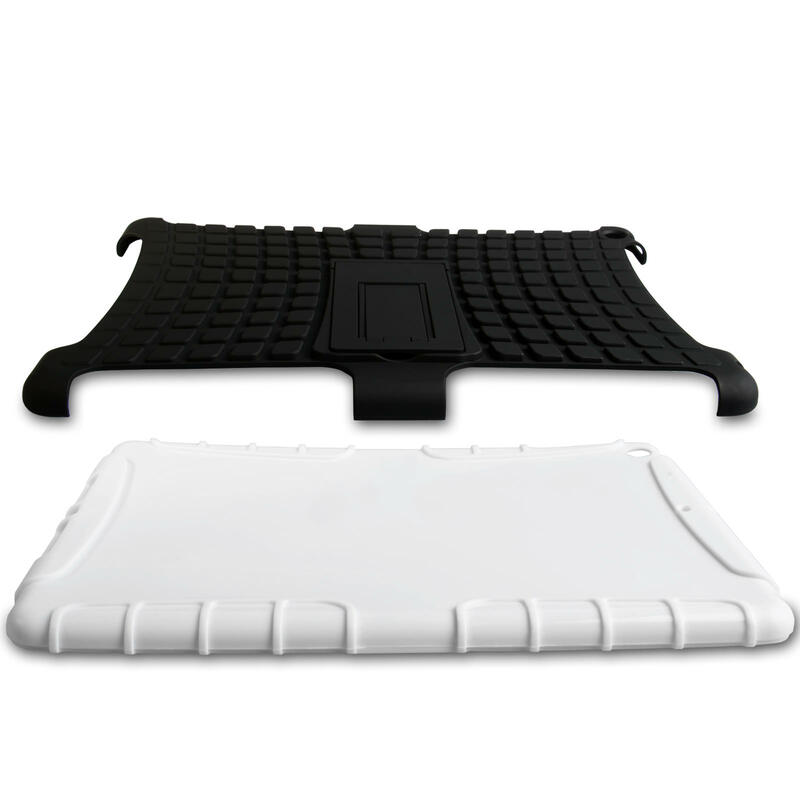 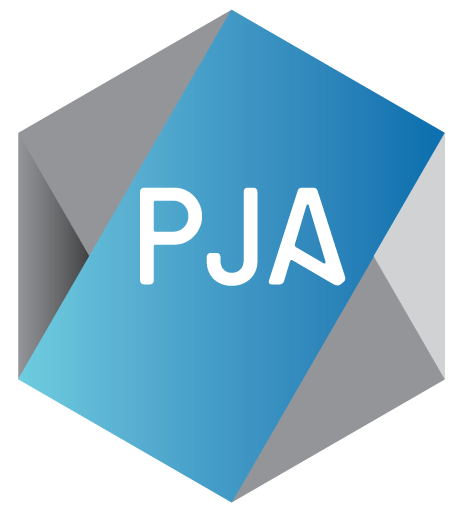 Your tablet sits within a precisely-fitting plastic shell with reinforced edges for extra protection against impacts. Over this fits an additional back layer with a grooved surface for a fantastic grip and a fold-out stand feature for viewing at a distance.